Keanu Reeves is Hollywood gold again, as he hits the big screens in "John Wick"
2014 was a good year for movies as a whole, with releases including Guardians of the Galaxy, X-Men: Days of Future Past, and The Grand Budapest Hotel. However, today I am not here to talk about any of these brilliant big screen additions to 2014, but rather the great revenge thriller, John Wick, and the actor behind the leading role, Keanu Reeves. Some may be wondering at this stage why I have chosen Keanu Reeves as the greatest comeback actor for 2014, as he has surely been in movies in the previous year and the years proceeding. That is all true, but none of these were noteworthy other than 47 Ronin which ultimately flopped at the box office, and including this movie, you've probably not seen a single Keanu Reeves movie (other than John Wick) since 2008 when he starred in the remake for The Day the Earth Stood Still, and Street Kings. Both of which were descent movies, which sadly couldn't be said for the movies which followed, that is of course until now, as after seeing Keanu Reeves as John Wick (lead character) in "John Wick" you will be given further reason to love revenge thrillers. Keanu Reeves looks just like he has always looked in John Wick, which was surprising considering he is 50 years old and could easily pass for a 40 year old. But, one thing is for sure, and that is that you will take Reeves seriously in the revenge thriller flick, John Wick, as it is an adrenaline pumping ride of action, heartfelt loss, and then more action from a man who has nothing to lose and every skill imaginable which would allow his to kill just about anybody. They shouldn't have messed with John Wick, that is for sure. I speak of Keanu Reeves' John Wick as that is his comeback role of a new form, as we have all become accustomed to seeing Reeves in action thrillers and Sci-fi roles, but never before have we seen him in a revenge thriller. A lot of veteran actors have given the revenge thriller sub-genre a shot since Liam Neeson made it popular, but Reeves has made the role as John Wick his own, and you truly could believe in Reeves performance, as it was simply stunning to watch. 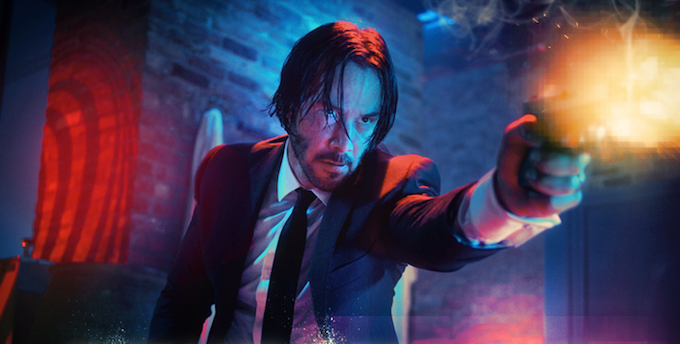 Keanu Reeves has only been credited for one role in 2014, that of course being the role of John Wick in "John Wick", which was better for the project because it meant that Reeves wasn't having to focus on other characters at the time of playing John Wick. Some may argue that it is not much of a comeback in 2014 if he has only starred in a single movie, but think again, as Reeves is set to star in a whole line up of movies for 2015 and 2016. Reeves' Knock Knock has already been released, and he is also set to star in The Whole Truth and Daughter of God in 2015. Knock Knock seems to have been approved by audiences, as IMDb's overall user rating for the movie currently stands at 8.3/10. If this pattern keeps on going, Reeves may just find himself at the top of the Hollywood game again, which in honesty, would be welcomed by myself. Reeves is all set for 2016, with a project starring as the lead in a Nicolas Winding Refn movie, The Neon Demon. And on top of this, Reeves is also set to star in a TV mini-series, Rain. This is all that we know so far, and in fairness we are still only in the early stages of 2015 to know all of the projects that Reeves will be partaking in during 2016, so it should be interesting to see if there are any other projects which will need to be added to this list. Do you feel that Keanu Reeves has done a shocking comeback into movies in 2014? Have you seen John Wick? How would you rate John Wick? Let us know in the comments box below.